I have often been asked how long it took me to write a book in the Nutshell Series. The reply `About eleven years’ usually evokes a look of disbelief. I would like to clarify this statement. It takes about five years of teaching a subject to understand it well and another five to understand it thoroughly. A fairly large number of students in each class has the advantage that more doubts and questions are asked by the students. Different approaches to teaching the same subject can be tried out over a large variety of students and the effectiveness of each approach evaluated. Thereafter, it takes about a year to write the book, late into the night, after working full time in the college. Like the other books in the Nutshell Series, I have attempted to simplify the subject to make it easy and interesting. 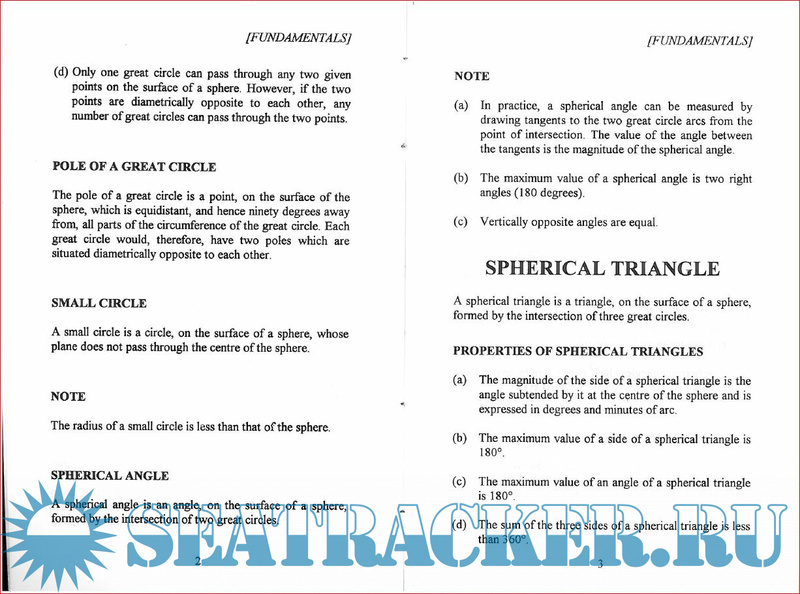 Spherical trigonometry is a `servicing subject’ i.e., one which enables a student to under-stand another subject. 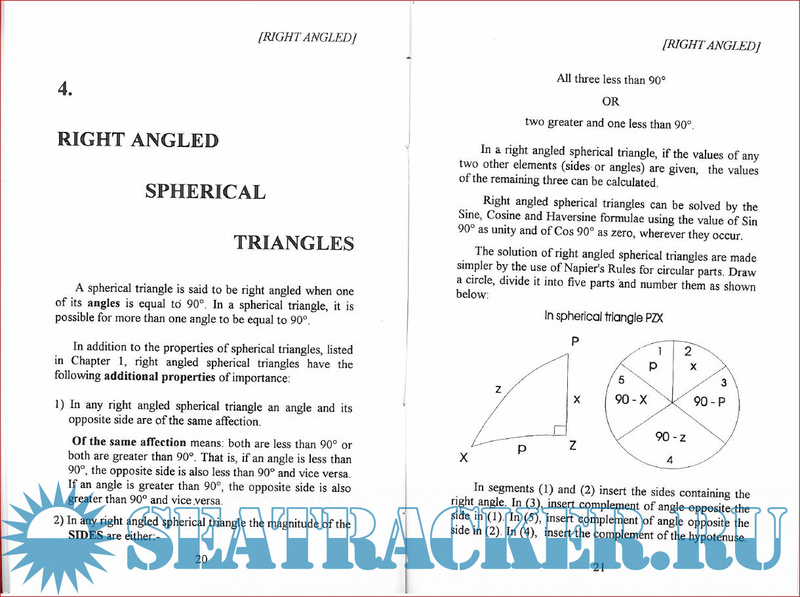 Spherical trigonometry is studied by mariners so that they can understand the practice and principles of navigation. 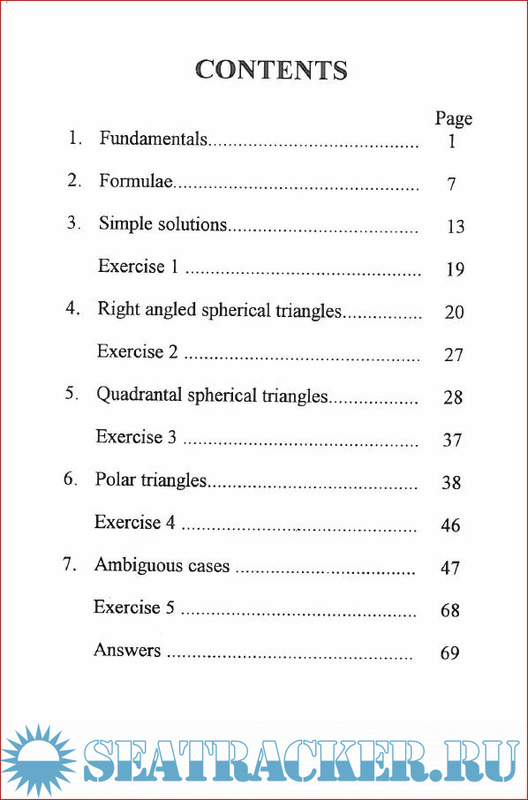 I have carefully divided the subject into parts so that, after studying for about three quarters of an hour, the student is given an exercise to work to test the knowledge gained by him in that chapter. 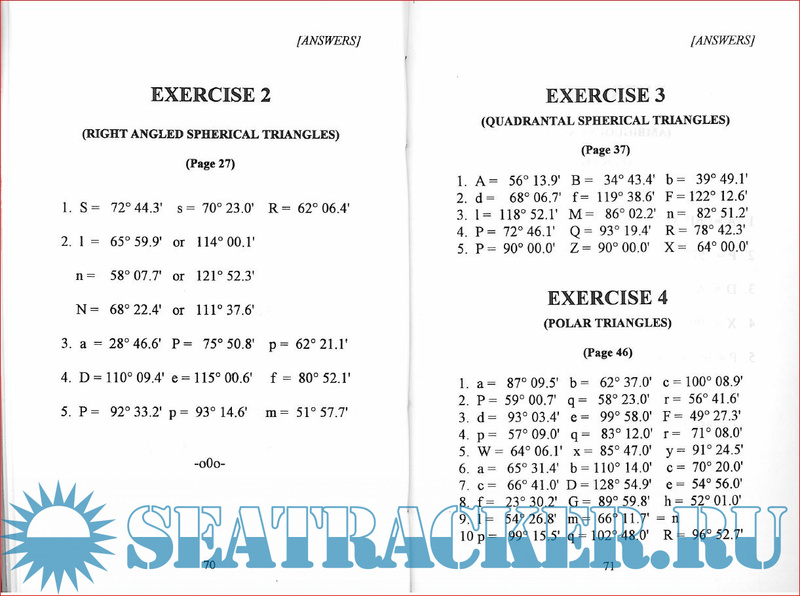 Additional info: Book for learning Spherical Trigonometry problems for candidates appearing for Second Mates and Chief Mates examinations. gillnumil , thanks for sharing sir. But i have to wait for more reputation. gillnumil, All right sir ! I will follow and comply as your instruction. Thanks again for your kind consideration!